FRIDAY NIGHT DANCE PARTY MIX!! Specially designed & tailored for you by our Unequaled D.J. & Co-Owner Vinny Munno!! A Great Way to Start a Great Weekend! Admission: $18.00* – for the Whole Evening (7 PM – 12:01 AM)! And, our Bar is Open, for your purchase of Wine, Beer, and More. the Best Social Dancing Around!! The dance starts at 8:00 PM and continues until 12:00 Midnight! Music includes a modern mix of Ballroom, Latin, Rhythm, and most other social dances — a special selection from our classic Ballroom and Latin Mix, along with a more upbeat Party Mix, specially designed and tailored for you by our D.J. and Co-Owner, the Unequaled Vinny Munno! 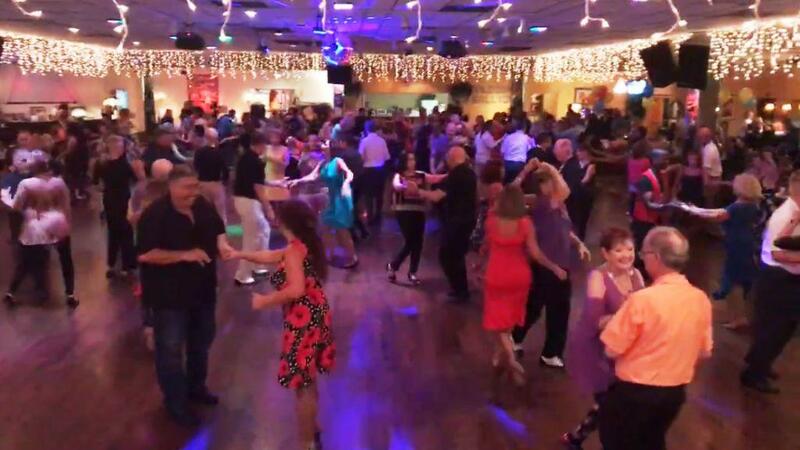 At 9:00 PM we have a Foxtrot and Waltz Mixer. The evening continues with an exciting contemporary blend of Ballroom, Latin, Rhythm, Swing, Hustle, Argentine Tango, Two Step, and more — specially designed and tailored for you by D.J. Vinny Munno! Great for singles and couples of all ages. The evening continues until 12:00 Midnight! 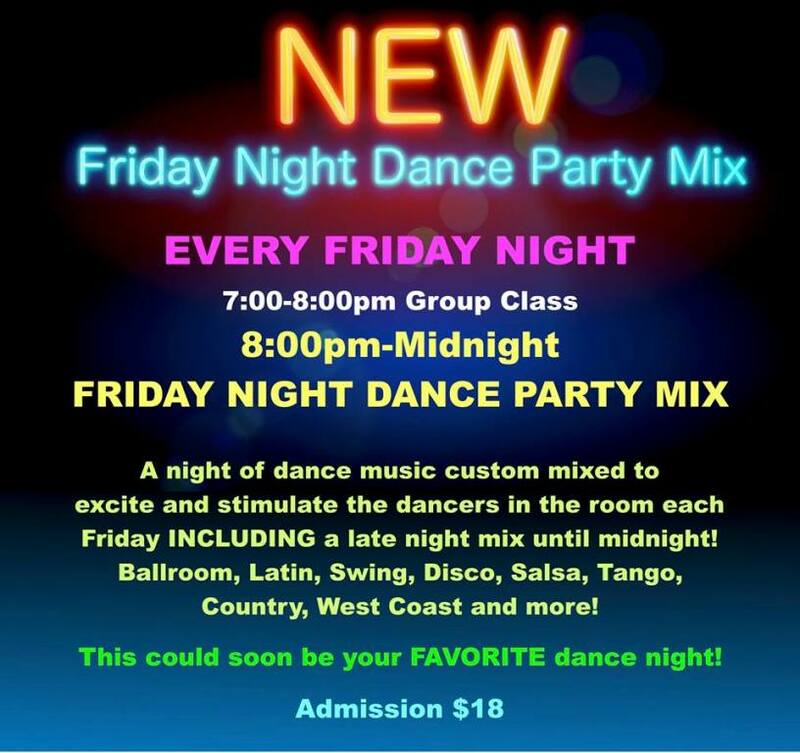 Join us for our Popular and Fun, FRIDAY NIGHT DANCE PARTY MIX at Goldcoast Ballroom. A great, fun, and exciting way to kick back and kick off your weekend!